When I saw the advert for Exact Clean, my gut instinct was to contact them before I tried any others. Artur was very quick to come back to me, to arrange a suitable time for a quote. As we were looking for a speedy service, he was also able to accommodate our booking within a 7 day period. The pricing was extremely competitive, and as a result, I opted to have the whole house done, as opposed to just the downstairs. The service itself is impeccable, and we cannot fault a thing. We had a lot of marks, scuffs, dried out play doh and blue tak, as well as sticky stains from lollipops and sweets! Generally, the carpet was very tired looking. However, these are now all gone, and the whole house smells wonderful as well! Artur and his colleague were tirelessly professional in their approach and we cannot recommend them enough. 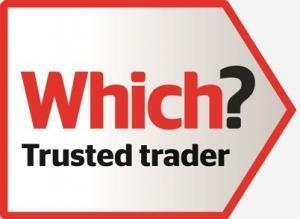 Will definitely use again, and will be the only company we'll be recommending to family and friends in future. I'm very glad I went with my gut!! Our little dog was ill on Tuesday 20/02/2019, she made quite a mess of my bedroom carpet, as I live in Sambourne out of a list of local carpet cleaning companies Exact was the nearest, despite being fully booked Artur said he would call back late in the day, he did, he came and cleaned, job done ! I will not hesitate to call Artur again !! I was delighted with the results achieved by Artur. I feared that I would have to buy new carpets but the outcome of his hard work means that my living room and dining room carpets have a new lease of life. I highly recommend him. Artur came to quote me on the same day I contacted him. He dealt with my whole house of different carpets and various post-tenant stains. The house looks and smells fresh and clean now. He was extremely thorough and very pleasant to deal with. He was recommended to me and I would recommend him on. Exact Clean fully deserve all their glowing reviews. I found their service to be friendly, efficient and good value for money, plus I am amazed at the results - money well spent! I’ll be recommending to everyone and will definitely use again. I had my bedroom carpet cleaned and was extremely impressed with the result. Would recommend every time and would use there service again. Fantastic service from Artur. Friendly, knowledgeable & professional, a great job done at cleaning our rug. Would recommend and use again. Absolutely fantastic- Artur has cleaned my carpets in the past to an extremely high standard and now my sofas which look brand new again. Highly recommend, lovely and polite. You definitely get what you pay for and nothing is rushed. 10/10! Artur did a great job. Carpets look new. Flexible and punctual.would highly recommend him. Excellent! Our young dog had messed on our new landing and bedroom wool carpets - causing a lot of mess ?. Artur came round, discussed what could be done, gave us a quote and came around on a Saturday to clean the carpets. He is friendly, polite, knows all about wool carpets and most importantly- managed to get all of the bad stains out. Good as new again! Highly recommend. Thank you Artur ! Efficient and polite. Reliable service, good time keeping. Carpet looks and smells great! Would definitely recommend. Excellent service. From the very first enquiry phone call Arthur has been so professional. Follow up visit and quote organised right away, all question answered with great knowledge, best products explained and recommended appropriately. My wool carpets and rugs are very happy, clean as new, fresh and soft, all small stains and imperfections removed- absolutely perfect. What a pleasure to deal with such professionals! Thank you Artur and Lucas. 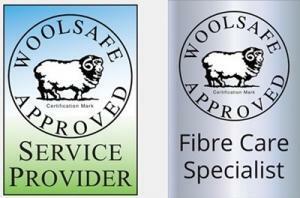 I am definitely recommend this company to all homeowners, especially the ones with quality wool carpets. Results are great! Thank you! An excellent and professional service. Arthur was polite, punctual and did a really thorough job of cleaning my carpets and furniture. Very pleased with the results! Would highly recommend Exact Clean. Thanks Artur, a great job on my carpets, you were on time, friendly and trustworthy. I now have lovely clean carpets that were very nearly dry as soon as the job was done. Far better than a DIY job. See you next time. Fantastic service, Artur is very friendly, reliable and professional. He turned up when he said he would which was a great start. The leather sofa and carpets looked brand new when he had finished. I would highly recommend Exact Clean. Fantastic service, Artur is very friendly, reliable and professional. He turned up when he said he would which was a great start and he went out of his way to try and clean my linen chairs. The leather sofa and carpets looked brand new when he had finished. I would highly recommend Exact Clean. We needed a specialist deep clean for our commercial premises. Many "deep cleaning" companies were listed on our Google search, but most were incapable of carrying out the work. Exact Clean came, worked very hard and quickly achieved a really fantastic clean. I cannot recommend them too highly. Arthur from Exact did a great job of cleaning my sofa and carpets. I would use him again. We tried everything (vinegar, baking soda, rug doctor etc) to get rid of the smell from our carpets but nothing worked. House is rent so we can't replace them. Arthur did a perfect job on the carpets, amazing results we have: No smell, a brighter color and a complete hygiene. Good as new. I strongly recommend his company. I’d highly recommend Artur, he did a great job of cleaning our carpets - they looked brand new! Artur was professional and reasonably priced. I would definitely recommend him. This guy is a total legend!! When I told him I couldn't wait til next weeks booking because I was on a deadline, he simply fired up his machine and did his magic there and then. Will deffo be calling him again soon! Great job. Artur was very busy but fitted me in just before Christmas as I had moved home. Very professional, super guy. Can highly recommend. Carpet cleaning, leather cleaning, rug cleaning, gutter cleaning and upholstery cleaning . Exact Clean is your trusted, local and reliable cleaning company. It’s as simple as that – I just love what I do. Better still … so do my customers! Let’s tell you a little more. Years of industry knowledge and experience. I bring all this to your home or workplace to return the freshness and cleanliness back to your leather, rug, gutters, carpets and upholstery. I really do know my stuff. I know about dirt and grime. I know about soil and stains. I understand the science of efficient cleaning. I know about the best equipment to use, which cleaning agents work for different situations and which ones won’t. I understand how to care for your carpets, leather, rugs, upholstery and gutters in a way which won’t damage the environment. I offer expert cleaning with gold-star service at a price you can afford. What drives me? That’s simple. It’s all to do with passion and pleasure! My passion for doing a great job – for turning a home or workplace from looking down-at-heel, grubby and dowdy to clean, sparkling and fresh. Then there’s the pleasure I derive from the delighted, smiling faces of my clients. Time and again they tell me they didn’t believe the difference I would make. I am motivated by the desire to work to the highest standards possible. I believe strongly in the importance of constant training and re-training. The world of cleaning science never stands still. It’s forever evolving, so I need to stay in pole position, constantly ready to give my clients the very best cleaning services I can. My base is Studley, a delightful village right on the Worcestershire, Warwickshire border. I have clients across the region – villages and towns right from the heart of Birmingham to Shakespeare’s Birthplace Stratford-upon-Avon. My customers don’t only comprise conventional homes and offices. I offer my cleaning services to country homes too. For example, I regularly visit National Trust Coughton Court. 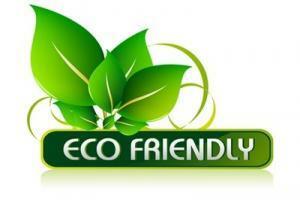 In addition Exact Clean is an independent leather, upholstery, rug, gutter and carpet cleaning company. 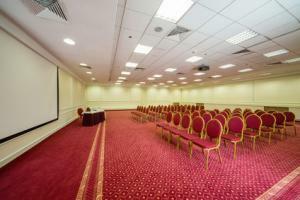 I choose what equipment to use and which solutions to apply to your carpets and upholstery. I use my experience to make the best choice for your carpets. Whenever I can, I use eco-friendly cleaning solutions from renewable resources. These products are now so well developed that they offer a real advantage to the fabrics, rugs and carpets being cleaned. On the other hand with costs being comparable with traditional detergent chemicals, you’ll be in a win-win situation. Eco-friendly cleaning solutions avoid the use of chemicals that can harm your health or the health of your pets, loved-ones, or employees. Where I can, I use products derived from renewable plant sources. As a matter of fact doing my bit to keep our area clean. Your favourite piece of furniture is like a best friend. And best friends deserve your love and attention! Well, I don’t just offer a first-class leather, rug, gutter and carpet cleaning. I offer premium quality upholstery cleaning in Redditch, too which is completely different skill-set. I’ll give your furniture the make-over it really deserves. Using low-moisture tools and high powered extraction machines, I’ll have your sofas and armchairs looking, smelling and feeling as fresh and luxurious as you could wish them to be. I understand the value of appearances in business. It’s vital that your premises reflect your business standards. Imagine a potential client waiting in your reception area. The floor is stained, the carpets are soiled and the chair they’re sitting on is grubby. The windows look as they haven’t seen a J-cloth for years. What is this potential client going to think about your own business standards? 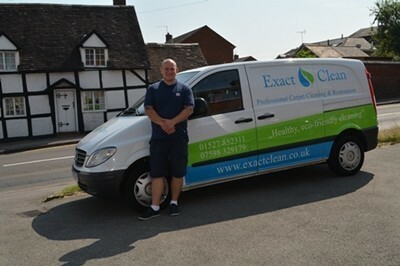 For this reason Exact Clean will put together a commercial cleaning contract that suits you and your business. I’ll pay regular visits to make sure your gutters, rugs, leather, carpets, upholstery, and windows always look as smart as your business. You’ll find a commercial cleaning contract far more cost-effective than turning to a local provider for one-off cleaning emergencies. I have designed this website to give you as much useful information as I can about my carpet and upholstery cleaning services. Of course if there’s anything I have left out or anything more you’d like to know, then please do get in touch.